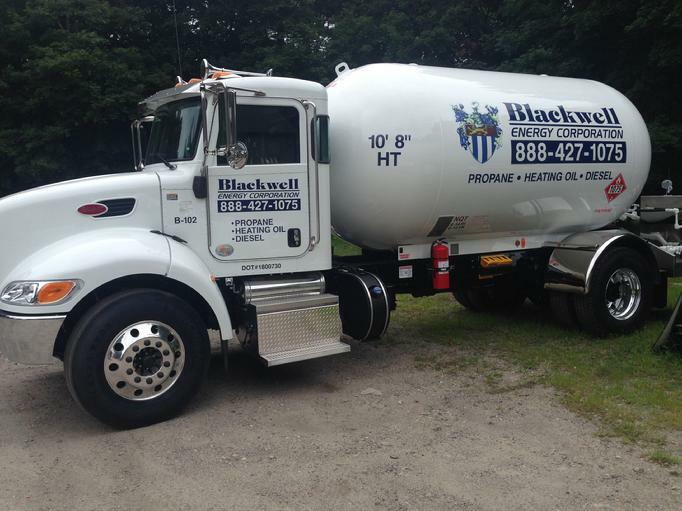 Blackwell Energy Corporation - 1-888-427-1075 , press 1 for propane and 200 for Home Heating oil. Serving the South Shore. 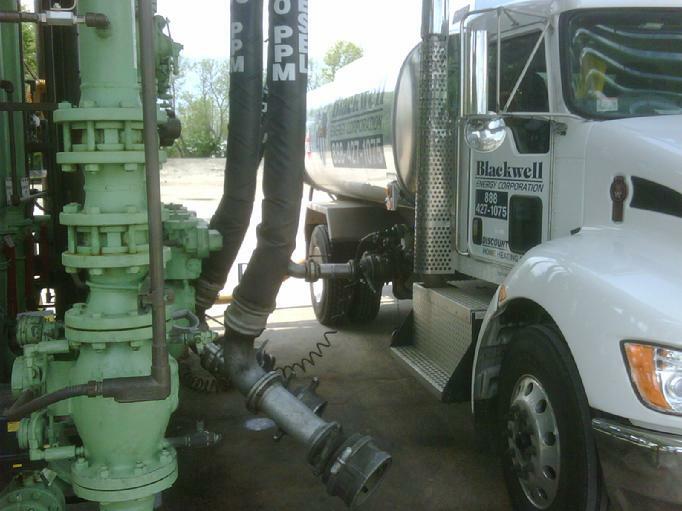 Blackwell Energy Corporation is locally owned and operated by the Blackwell Family. We have been in the Energy business for over 44 years and counting. We provide propane gas service to Residential, Commercial and industries. We install below ground propane tanks with our own construction equipment. One Stop Shopping. We also sell and install direct vent and vent free space heaters, fireplace inserts, free standing propane fireplaces and logsets. We service what we sell! For more information please click on Propane in the right hand side of this page. Please note : We have discontinued our less than 100 gallon min deliveries. Less than 150 gallons is sold at our published retail rate and not our discounted rate! Automatic Keep Full Delivery requires that we extend credit (30 days). Because we extend credit the retail price for oil is higher than our cash discounted oil. The benefit is that we keep track of the fuel level in your oil tank; so you don't have to worry about it and you have up to 30 days to pay for the delivery. Automatic Delivery Customers can also get the discount price for the day of delivery - if we automatically charge their credit card for the delivery! Please select the set up account tab above to sign up for auto keep full delivery! PLEASE BE ADVISED THAT PRICES MAY BE CHANGED WITHOUT WARNING THROUGHOUT THE DAY. WE WLL GIVE YOU YOUR EXACT PRICE WHEN YOU CALL OR EMAIL US REQUESTING A DELIVERY. Blackwell Energy Corporation also charges a $4.00 Hazmat Surcharge per delivery. This Hazmat Surcharge will be added to your total fuel delivery charge. The Hazmat Surcharge is charged to offset a number of Federal and State regulation imposed costs to our operating costs. We will be glad to provide you a brochure which describes in more detail the actual regulations and requirements which cause this fee. Blackwell Energy Corporation is both a retail and a Discount Oil Company. We offer a discounted price for cash/COD accounts. We can accept most credit card payments before the delivery . For deliveries of 100 to 149.9 gallons the rate per gallon will be at our automatic delivery rate and not the discount rate. For Automatic delivery customers that wish us to extend 30 day credit; the retail price is higher and balances over 30 days are assessed finance charges. Abington, Bridgewater, Brockton, Carver, Cohasset, Duxbury, East Bridgewater, Halifax, Hanson. Hingham, Holbrook, Hull, Kingston, Lakeville, Marshfield, Middleboro, Milton, N.Easton, Norwell, Pembroke, Plymouth, Plympton, Quincy, Randolph, Rockland, Scituate, West Bridgewater, Weymouth, Whitman. Propane, Home Heating Oil , Diesel. Propane, Home Heating Oil, and Diesel.